Charles Creative has produced and engineered the first in a series of podcasts for La Via Coaching. Check it out on SoundCloud, soon available on other platforms as well. Sumario helps you collect information using forms. The power of Sumario is that with just html you can collect and compile form data from any source. No mail servers or fancy development is required. Just build a form using your sumario key, and deploy everywhere you, your team, your clients, and your contacts are. Sumario is light-weight and versatile; it can do anything a form can do - collect contact information, job applications, surveys, requests for proposal, and more. Build your form once and deploy it on a public website, on a private internal network site, in an email, or in an app - anywhere. In the age of connection, the services and platforms by which we communicate are increasing fragmented, but a solution is here. Sumario simplifies the way you gather information. We've started pitching ideas for Oaks of Sherman's first project. Our goal is to do 3 projects a year, picking worthy individuals and organizations that could benefit from the talents of our members. All support is non-monetary. Each engagement is expected to last 4 months, with a relatively light workload for participating members. The high concept is that by working together to help others, we can't help but do good work for each other. 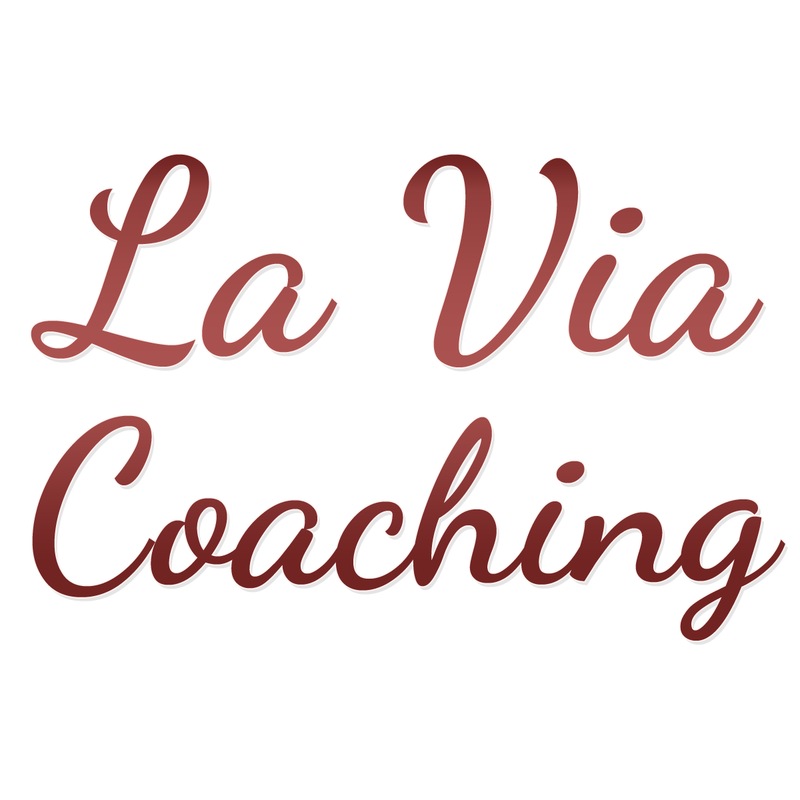 Recording of podcasts for La Via Coaching is due to begin in the next couple weeks. I'll just be running the sound gear and editing bay, will leave the changing of lives to the Warrior Women. 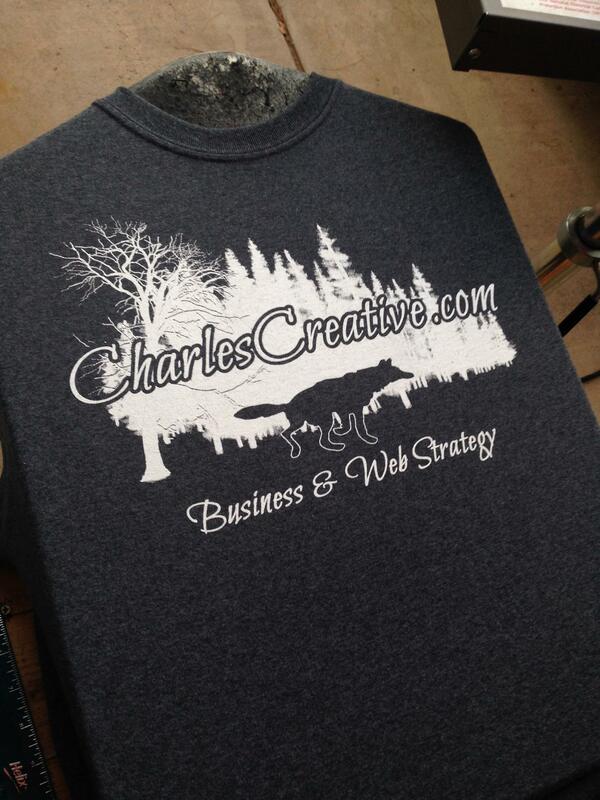 A nod to Joseph at Thread or Alive for his great work on the Charles Creative shirts. Top quality work, excellent service, and he got them printed, packed, and delivered in about 5 days. Just in time for the Street Fair. White on gray and green shirts, friends and family have scooped most of them up already. 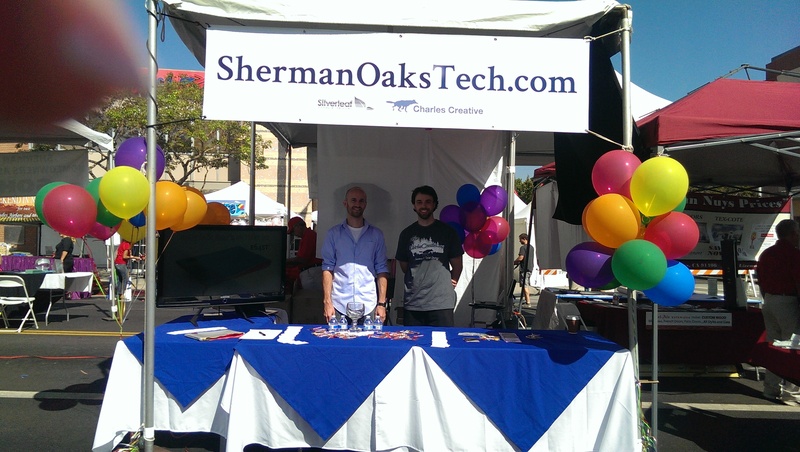 Thank you for stopping by our booth at the Sherman Oaks Street Fair! Just started to upload samples of our work - something I've been meaning to do for months. Included in that process is giving credit to all of the great teams that have participated in different projects. Will continue to flesh these things out, with the goal of getting samples from most of our recent projects up to date in a couple weeks. We've introduced a new site hosting package especially designed for medium to large web projects. Solutions start as low as $150/year, with options suitable for all content management platforms. Most packages include backup and emergency support, pair with a web or business engagement for further savings. Carry on, and best to you! Now you can submit a request for proposal directly from CharlesCreative.com. Wordpress is a very popular content management choice, especially for personal sites and blogs - so we made a form dedicated to new Wordpress sites. It is a good way to get things started smoothly, and may be useful for thinking about your project from a developer's perspective. As always, please contact us if you have any questions. Initial consultations are always complementary and in person within a reasonable driving distance from Sherman Oaks. I won't object if you wanted to buy me coffee, however. The Oaks of Sherman is a community we're building with other local entrepreneurs in our area. The project itself is not scheduled to launch for a couple months yet, but we're already testing the online portal at Oaksofsherman.com. This is something I've wanted to do for some time now, but it had to work its way up in the project queue. The group is open to the public - you don't have to live in Sherman Oaks - and free during beta. There will be a subscription fee when it's all up and running, which you will grant members access to all Oaks of Sherman events and services. I can't make any promises (it is not my decision alone), but we will probably keep site membership free for everyone that helps us test the platform during beta. Tunes Alive turned 5 years old - on paper - this week. Most of the build occured 2012 - 2013, but there's plenty to celebrate. Happy app'n folks.